News Baxter Gaucho Boots help to save the day. Baxter Gaucho Boots help to save the day. A Baxter customer on the NSW central coast has had a narrow escape on his property near Ourimbah. While moving branches out the way to clear a path for his ride-on mower he disturbed a brown snake. Without any notice the snake lashed at him towards his stomach. Using his instinctive reflexes the man turned and attempted to kick the snake away to avoid being bitten in the stomach. The snake opened its jaw and went for his leg, biting through his jeans. Luckily the man was wearing his Baxter Gauchos! If he had not been wearing the high top boots the man could have suffered a possibly fatal snake bite. Fortunately the tough Gauchos were enough of a barrier to take the brunt of the snake bite, leaving the man with a nick on his leg from the snake’s fangs. This small nick was enough to render the man woozy and luckily a neighbor was nearby to apply a tourniquet and call the ambulance. During all this the man’s heart stopped, he has was luckily revived and after a short stay in hospital he returned home to recover where he remained ill for 10 days. There is no doubt that this story may have had a far more terrible outcome if the snake was able to bite further in to his leg. High top boots with thick leather can provide an extra level of protection against the many safety hazards posed with working outdoors. We are very happy this story had a positive outcome and that Baxter Gaucho’s were able to play a role in preventing a disastrous event. 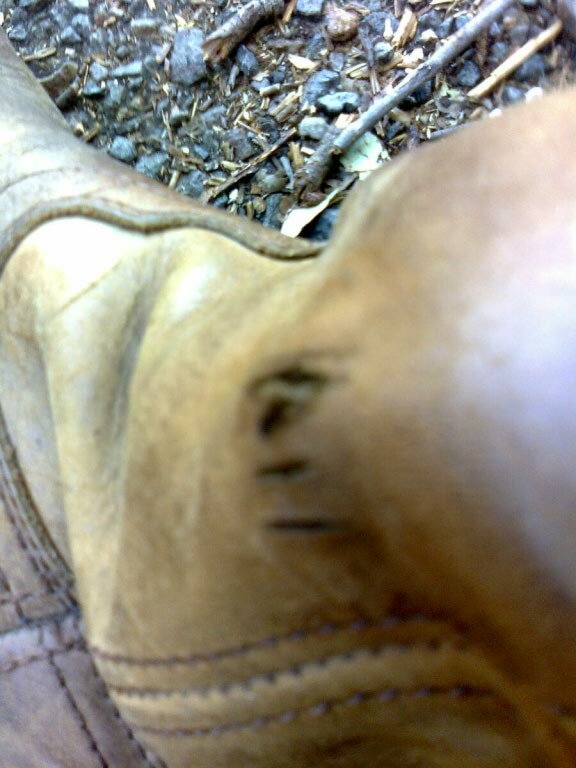 The Gaucho Boots that prevented a fatal snake bite.